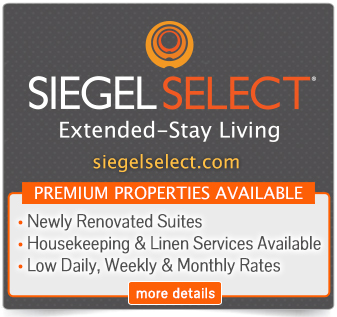 Siegel Suites specializes in affordable Las Vegas apartments. Our low cost, short term and long term apartments are available in great locations throughout Las Vegas. You can also choose from furnished or unfurnished apartments, and apartments sizes from studio to two bedrooms. Rents may be low, but all Siegel Suites apartments give you great extras and amenities like free cable TV, free utilities, and more.